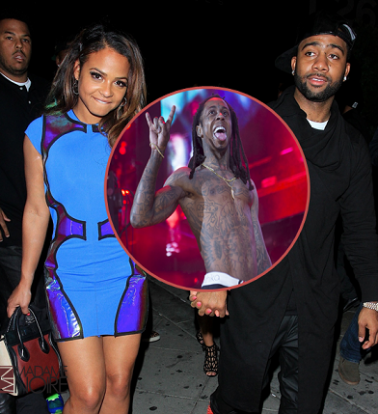 Dailybuzz.ch: Is Christina Milian Rebounding With Lil Wayne? 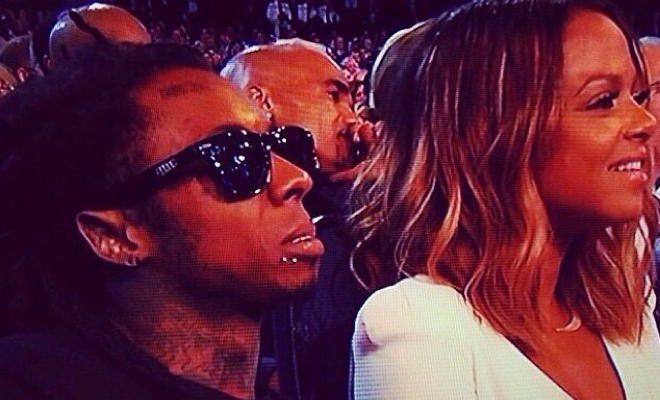 Is Christina Milian Rebounding With Lil Wayne? Last month, Christina Milian announced that she ended her engagement to fiancé, Jas Prince. While she didn’t offer an explanation for the split, her response to an Instagram follower fueled rumors that infidelity was the final nail in the coffin of their relationship. While it all seemed a bit sketchy, we gave them the benefit of the doubt, as Christina is signed to Young Money Cash Money Records. But when Wayne showed up to the ESPYs last night with Christina as his date, it became obvious that whatever they have going on is worth looking into. Not only did the two walk hand-in-hand while heading to their seats, but they were also looking extremely cozy throughout the night. Reps for Christina have yet to confirm whether or not the rumors are true, but at this point I’m not sure if we really need a confirmation. If they are true, then all of this drama will probably make great material for her new reality show, which was initially supposed to focus on the planning of her wedding to Jas Prince. Only time will tell what’s really going on.